Shop at Amherst Books this Saturday! 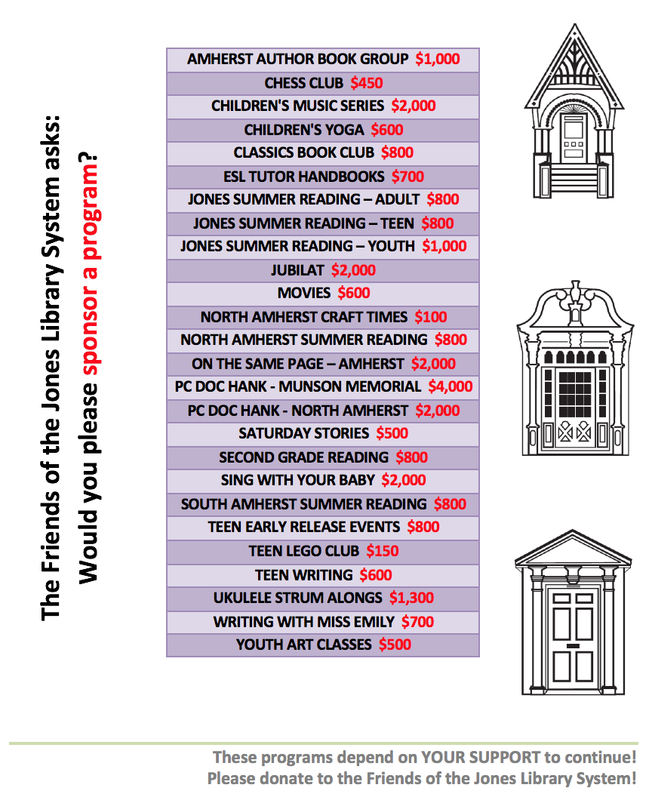 Because of the destructive snowstorm, the Annual Meeting of members of The Friends of the Jones Library System (all who have contributed to the Friends' fund drive in the last year) has been postponed. Instead of the original date, it will be held the morning of Monday, December 5 at 7:45 AM in the Young People's Reading Room on the ground floor. All members are invited. There will be an election of Board members. The following persons have been nominated to serve on the Board of the Friends for a 3-year term: Edith Byron, George Goodwin, Lucy McMurrer. These three, along with the recently elected Bonnie Isman and Mary Elizabeth Strunk, are members of the class of 2014. Additional nominations may be made from the floor.